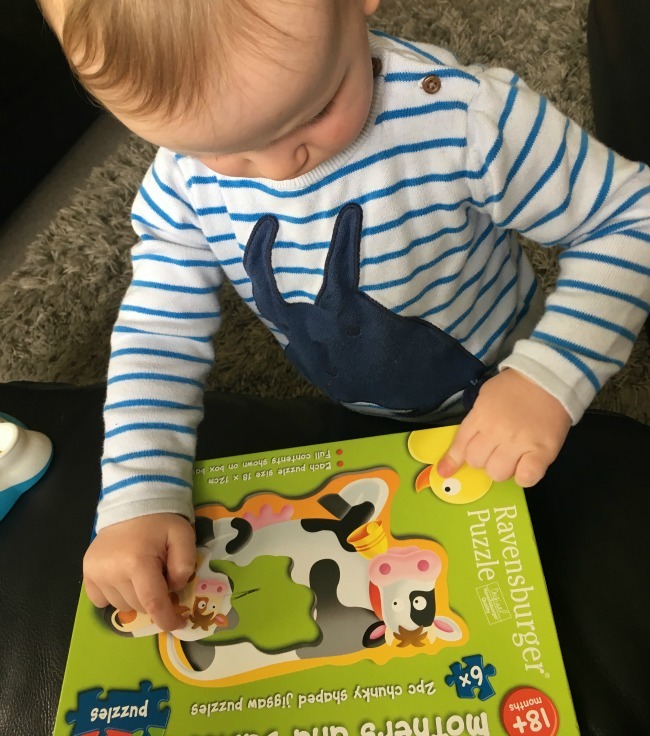 Bee was delighted to be sent a Ravensburger mothers and babies jigsaw puzzle for us to review*. Something designed for his little hands, something just for him. Bear gets quite a few toys and puzzles to review but this is Bee's first. We love the quality of Ravensburger puzzles, they are beautifully printed and accurately cut. Would the mothers and babies jigsaw puzzle live up to our expectations? Bee loved the box, pointing at the animals. He says "grrrr" for everything - he makes us laugh as he points at a duck and says "grr". Although he doesn't say much (defiance we think) he is very dextrous. He quickly had the box open and pushed the pieces apart. Each piece is made from stiff card and there are six puzzles. Each has a picture of an animal, with a cut out for it's baby. 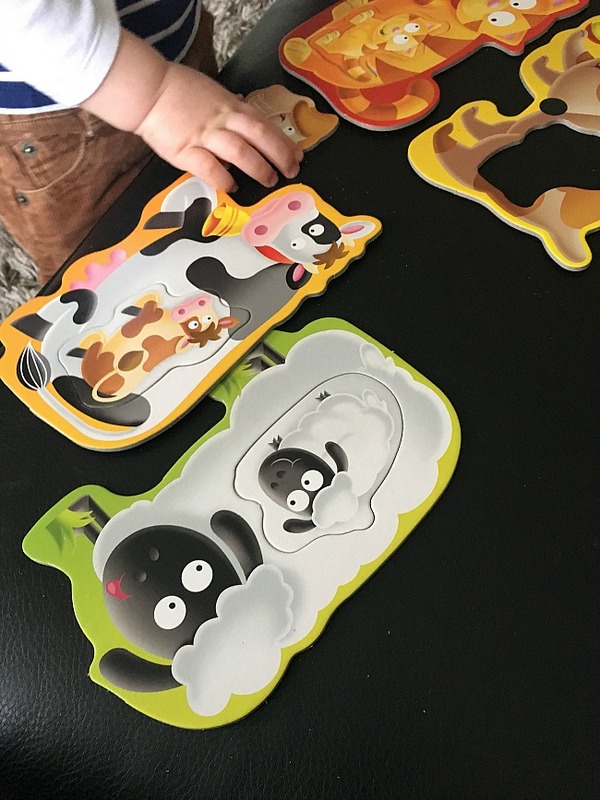 There is a cat, dog, cow, sheep, duck and a pig - giving lots of opportunity to talk about each animal and the sounds they make. 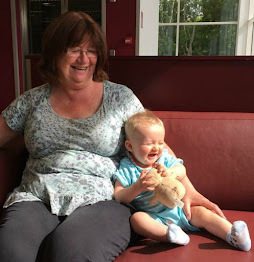 Bee is eighteen months old and, much to his delight, he was able to place the babies. He needed help with pairing the pieces but once he had the correct piece he wiggled and jiggled it until it fit. 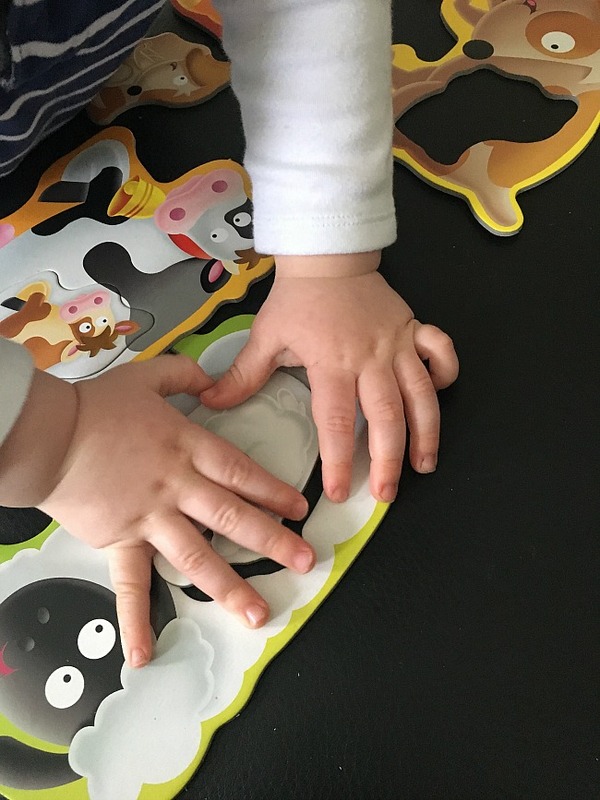 The Ravensburger mothers and babies jigsaw puzzle is for 18mths+ and is perfect for little hands. 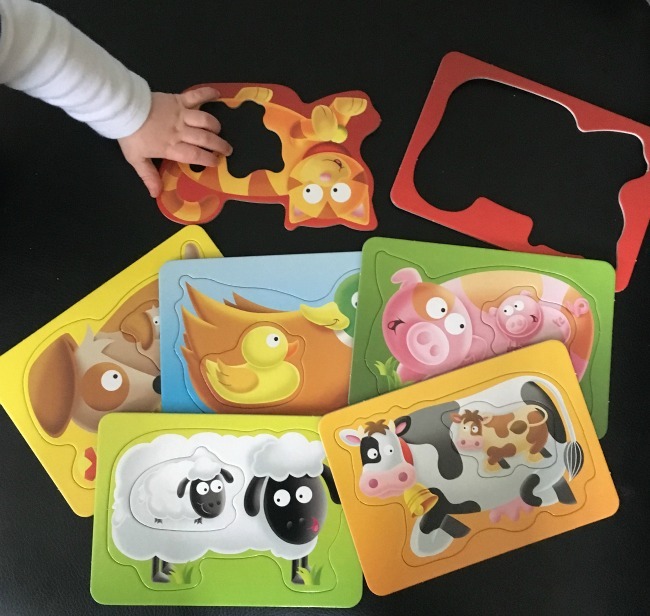 It is well made and each piece is laminated on both sides, which means the pieces glide and still fit even after a toddler has played with them. The pictures are delightful. 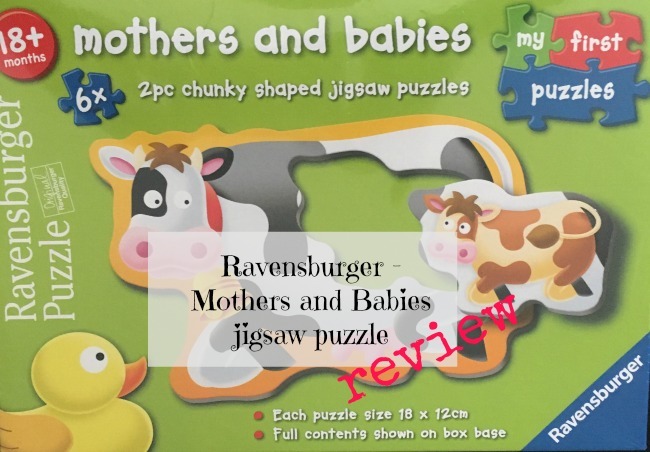 The Ravensburger mothers and babies jigsaw puzzle is available from all good toy shops and online. It costs £6.99. *Disclaimer - we were given the puzzle for the purpose of this review.